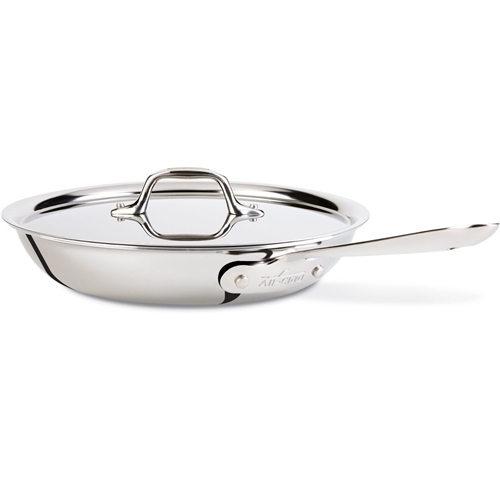 This open fry pan with lid has sloped sides and a lip edge and an aluminum core with stainless interior and exterior. Made by All-Clad. Dishwasher safe. Made in USA. On sale, while supplies last!